SCOTTISH Fire and Rescue Service’s head of service delivery for the north of Scotland has given a reassurance that there are no station closures planned in Shetland despite national financial constraints. Deputy assistant chief officerDavid Farries also told Shetland’s community safety and resilience board on Wednesday that he is seeing a “trend of positivity” in the fire service at the moment. Farries spoke to members of the board while on a visit to Shetland which also saw him present medals to long-serving local fire staff and tour some of the isles’ stations. Board vice-chairman councillor Allison Duncan asked him whether in light of financial cutbacks there are any fire station closures or amalgamations planned in Shetland. 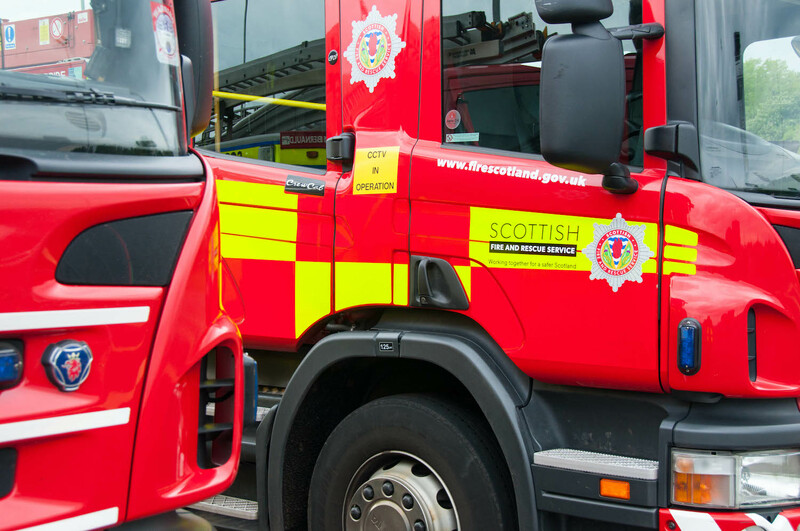 Farries conceded it would be “sheer folly not to look at our estate”, particularly after the Scottish Fire and Rescue Service formed in 2013 by merging eight regional groups. He said all public bodies were facing financial challenges, with the fire service no exception. But Farries reassured Duncan that “there are no plans to close any fire stations in Shetland”. The fire chief also praised the recent roll-out of new fire engines in the Scottish islands which saw two units arrive in Bressay and Bixter, calling it an “evolution”. The rapid response units have a high pressure lance that uses an abrasive mixed with water to cut through concrete or metal and allow fire fighters to douse a blaze without even entering the building. Scottish Ambulance Service team leader Angus Galbraith, meanwhile, told the board that the ambulance now sharing space at the Lerwick Fire Station gives crews a “tremendous starting point” to work from. He said the ambulance team received an “exemplary welcome” from the fire service and now had “far more options and facilities” than before. Galbraith said the space has now been shared for around one month, with an official opening due to take place in the coming weeks.